A Texas judge has finally sent Ethan Couch, the “affluenza” teen, to jail. Most drivers convicted of a deadly Los Angeles DUI would have been grateful to receive Couch’s original sentence—10 years’ probation for causing four deaths while DUI. But Couch didn’t appreciate the break he received. Judge Wayne Salvant ordered Couch to report to jail to serve a sentence of 720 days, which amounts to 120 consecutive days for each of the four people that he killed. Couch, who was 16 at the time, also injured nine other people when he plowed into a disabled SUV on the side of the road. Couch pleaded guilty to four counts of intoxication manslaughter and other crimes. 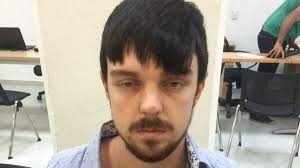 During the sentencing hearings, Couch’s lawyers contended that he suffered from “affluenza” and therefore couldn’t be held accountable for his behavior. That defense, and the juvenile court judge’s sentence of 10 years’ probation, led to a storm of criticism throughout the country. In late December, however, a video surfaced that showed Couch breaking the terms of his parole by drinking at a party. Rather than face the consequences, he fled with his mother to Mexico. Authorities there picked him up a month later and extradited him to the U.S.
Couch turned 19 in April, which meant the transfer of his case to adult court. Judge Salvant sentenced Couch to the two years for breaking the terms of his parole and told him would have to avoid drinking and using drugs and would have to check in frequently with a parole supervisor. If he violates those terms, Couch could face even more jail time. California’s felony DUI driving statute (Vehicle Code 23153) says that a DUI driver who kills someone can be convicted of felony DUI if he/she has three or more prior DUI convictions within ten years and/or if he/she violates some other driving law.